Aultbea village in the Highlands of Scotland. Beautiful coastlines, beaches and sea views. Little Gruinard beach. Set among the mountains of the Highlands. View from Sail Mhor, Dundonnell. Away from it all, peace and nature. If you are lucky you may see the Northern Lights. Drumchork Farmhouse holiday home overlooks Loch Ewe and the village of Aultbea in the north west Highlands of Scotland. 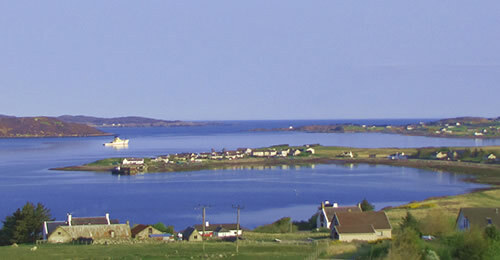 The outline of the Isle of Lewis (The Western Isles) can also be seen on a clear day. This semi-detached property was built in 1881 and was once a working farm on Letterewe and Gruinard Estate..
Drumchork has 1 double room and 2 twin rooms, sleeping up to 6 people. We are in a great location for exploring and enjoying the north west coast of Scotland and also on the North Coast 500, described as Scotland's version of Route 66. Please explore our site to find out more about the house and what great sights and places there are nearby. 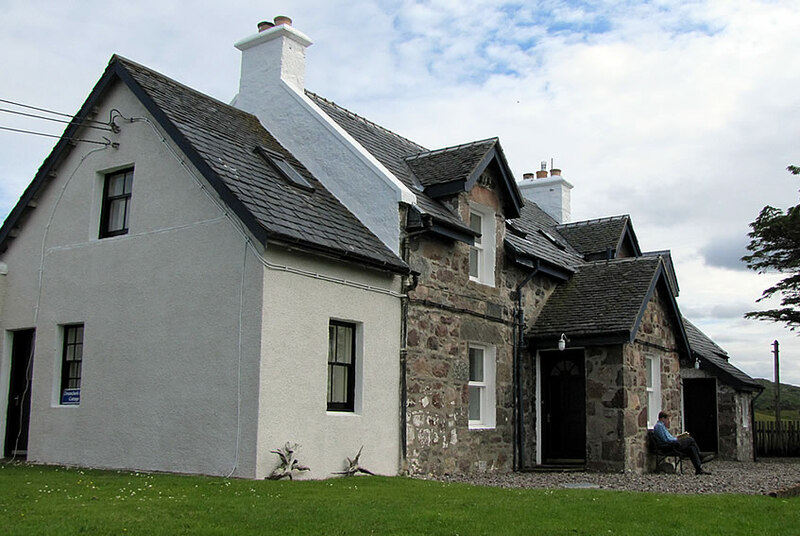 Drumchork Farmhouse is a traditional built farmhouse offering an ideal getaway to relax and appreciate the north west Highlands of Scotland or a base from which to explore this great beautiful region. Drumchork is comforatble and well equipped with all you need for a great break and is close to a number of attractions, villages, beaches and some of the best nature, wildlife and scenery in Scotland. The north west Highlands of Scotland are considered by many to be one of the best unspoilt wilderness areas in the UK and Europe. Hills and mountains, glens and magnificent coastline with breathtaking beaches. The region offer an opportunity to get away from things and appreciate nature and peace, whilst having great facilities and lots to see and do, eat and drink, enjoy and appreciate. Wester Ross and the north west Highlands are home to many stunning locations, villages, mountain ranges and beaches. 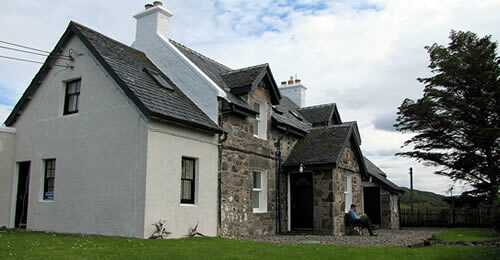 Drumchork Farmhouse is well situated for those who wish to explore and experience the region. 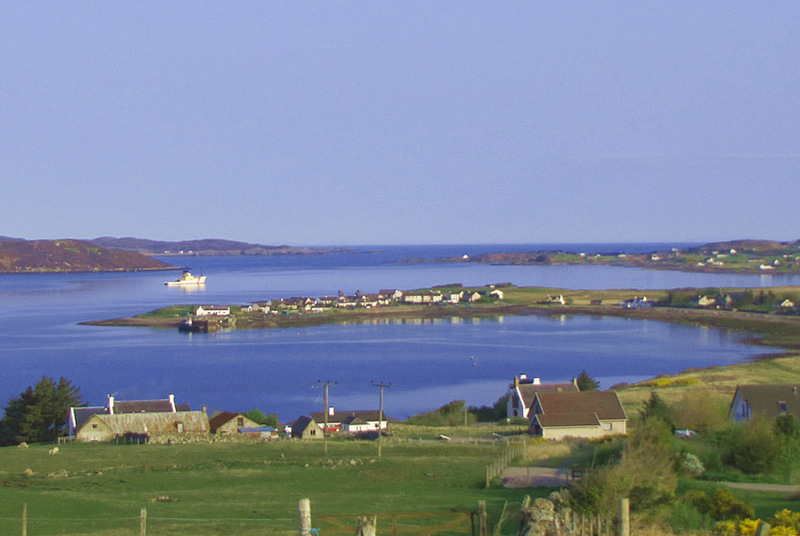 Gairloch, Poolewe, Ullapool and even Coigach and Assynt are all within easy drives. The Torridon Hills, Beinn Eighe and An Teallach are almost on our door step, Inverewe Gardens, Corrieshalloch Gorge, Gruinard Beach and much more are nearby. There are boat tours, guides, fishing tutorsand a variety of businesses on hand to offer activities and guidance, and we have a number of sites for canoing, snorkelling, walking and a vast range of ourdoor pursuits for all tastes in some of thebest scenery in the world. Inverewe Gardens. 10 minutes away, a famous Victorian Garden that still inspires. Corrieshalloch Gorge. One of the best water fallsand gorges in the UK. Bealach na B�. Considered one of the finest drives in Britain - only down the road! There is lots to do and see - the only limit is your imagination. Please note, we can accept online payments via paypal. Please add 4% to total to cover charges. Click logo to open Paypal. MacraeMedia Website � 2017 Drumchork Farmhouse.